Apparently the central government fails to ease the angry students AND protest continues even after student-government talk recently. However, there seems to be other voices that haven't been heard from the media, especially probably have not reached the pro-democratic news media reports from the beginning. According to a YouTube recording, on day 2, there was one woman confronting the students, seemingly disagreeing with the student's action. Certainly this is not only one of those incidents. 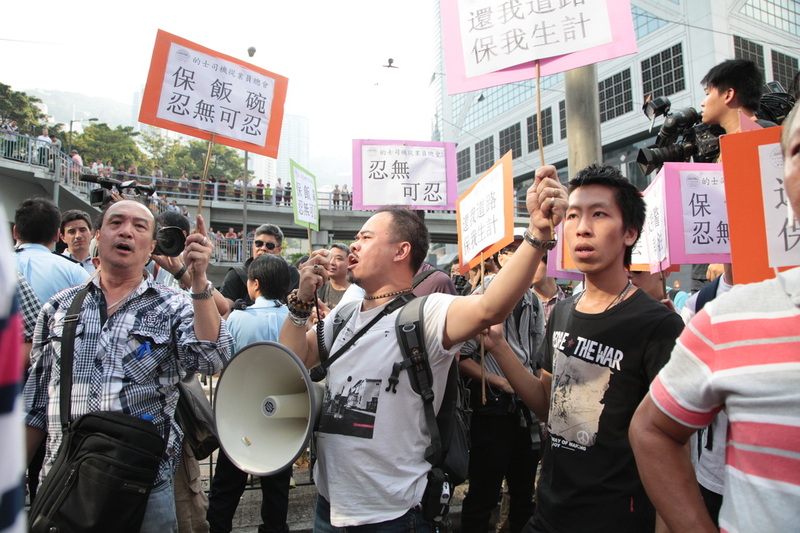 Unavoidably, after a week of protest, as I have stated in the current situation, many citizens run onto the street and started the Anti-occupy actions. Elder citizens started an alliance which oppose occupy central but support universal election. Opposing ideas exist between pro-democracies and pro-stabilities. Now the three University professors turned them into the Police department, and announce that they would end this. However, some of the students, have not really indicated the willing to stop. It seems that these students are utilized by these professors with great ideas and wrong approach. Now that the students are on fire, they seems to be out of control.